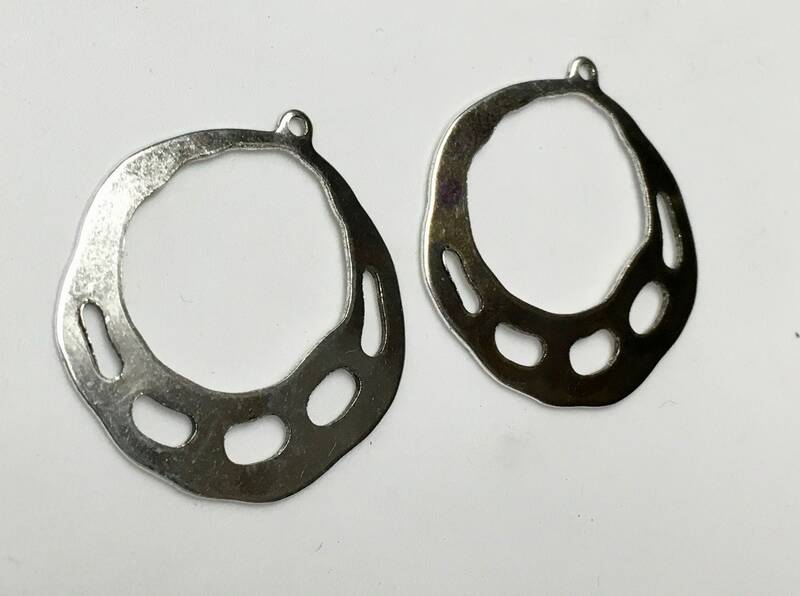 Silver plated brass beading hoops - these are 33mm x 26mm, closed with art deco open design below. Great for adding beads and then attach to ear wires. You will receive 4 pcs or 2 pairs.